Terrariums are no stranger to the urban individual as they offer little pockets of nature to those living in the concrete jungle. 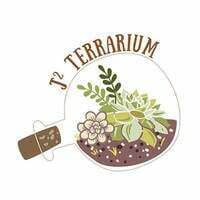 J2 Terrarium offers custom-made terrariums, ready-made terrariums, and even glass jars and vases for those looking for a nice home for their little garden. Additionally, they offer workshops that cater to various age groups, from the young to the old. The team at J2 Terrarium provides these plants for home decor, birthday gifts, and wedding favours.